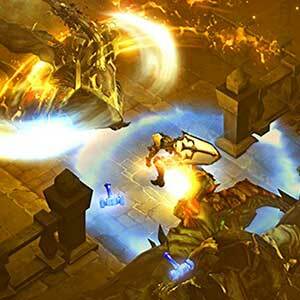 Buy Diablo 3 Eternal Collection Nintendo Switch Game Cheaper with our comparator. Find the best stores and prices to buy Nintendo Switch Code Online. 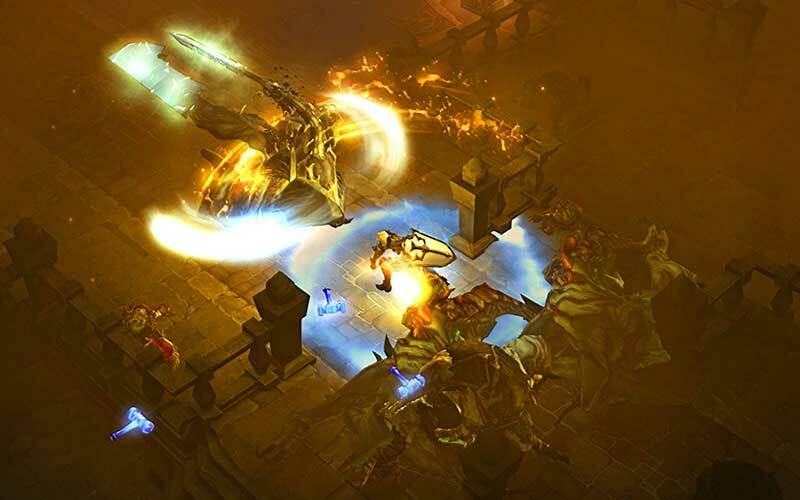 Receive your code by mail and download Diablo 3 Eternal Collection or find a better price for Box Game. 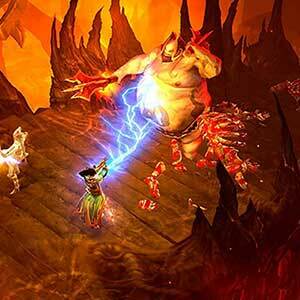 Enjoy the best deal for Diablo 3 Eternal Collection with Allkeyshop.com! 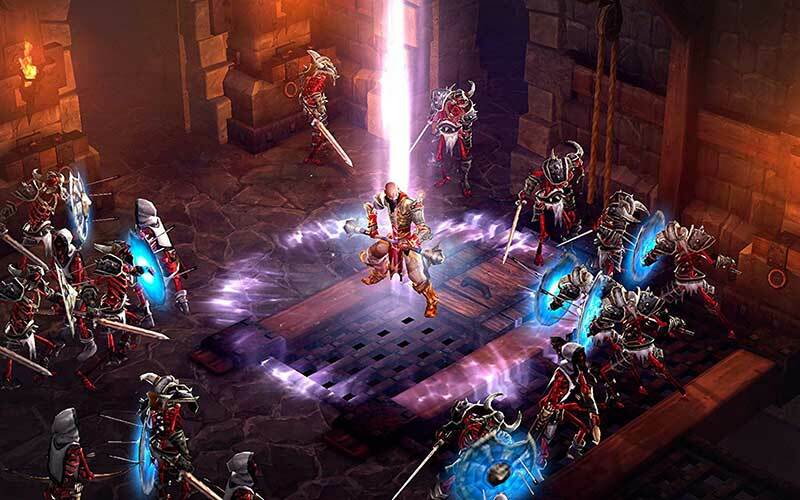 The excitingly dark couch co-op action RPG from Blizzard is now on the Nintendo Switch with the Diablo 3 Eternal Collection. 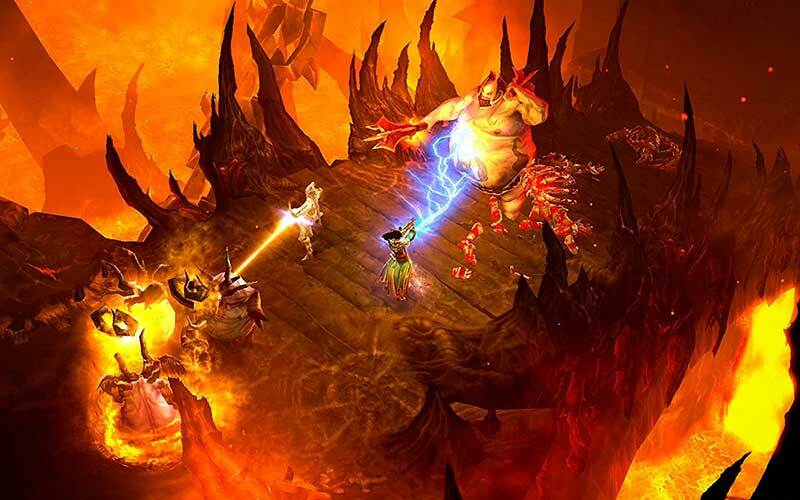 Unveil the secrets of the Nephalem and travel across the world of Sanctuary and beyond to stop the return of the Lord of Terror, Diablo. Team up with up to 3 friends and enjoy local 4-player co-op in docked mode, or fill up your party online. 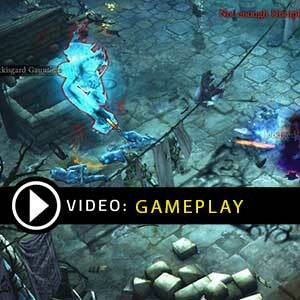 The Eternal Collection collects the base game, the Reaper of Souls expansion, and the Rise of the Necromancer pack. The Switch version also comes with exclusive items such as the Cucco pet companion, a triforce portrait frame, unique cosmetic wings, and an transmogrification set that allows your hero’s armor to look like that of Ganondorf’s. You can also find pieces of Zelda’s sword scattered all over Sanctuary. There are 10 offers ranging from 39.99€ to 64.37€. NINTENDO CODE : This is a digital code for Diablo 3 Eternal Collection Nintendo Switch. Use the download code on the Nintendo eShop of your Console. Once connected to the Nintendo eShop, you can enter and redeem the Download Code. Read carefully the store description about any language and region restrictions. BOX GAME : This is Diablo 3 Eternal Collection Nintendo Switch Box Edition (DVD-CD ROM). This is not a downloadable product. Please read the sellers page for any additional costs (taxes, shipping), delivery time for your country and languages available. 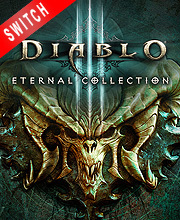 EUROPEAN BOX GAME : This is an European version for Diablo 3 Eternal Collection Nintendo Switch in Box Edition (DVD-CD ROM). This is not a downloadable product. Please read the sellers page for any additional costs (taxes, shipping), delivery time for your country and languages available. 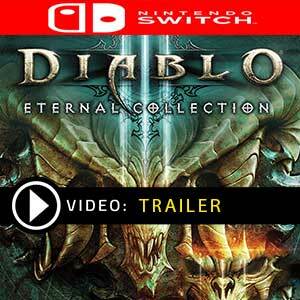 US BOX GAME : This is an US import of Diablo 3 Eternal Collection Nintendo Switch in Box Edition (DVD-CD ROM). This is not a downloadable product. Please read the sellers page for any additional costs (taxes, shipping), delivery time for your country and languages available. JAPAN BOX GAME : This is a Japan import of Diablo 3 Eternal Collection Nintendo Switch in Box Edition (DVD-CD ROM). This is not a downloadable product. Please read the sellers page for any additional costs (taxes, shipping), delivery time for your country and languages available. 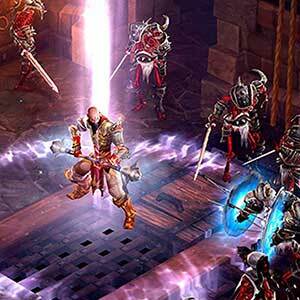 NINTENDO GAME CODE EUROPE : This is Diablo 3 Eternal Collection Nintendo Switch Download Code for Nintendo Europe Console. Use the Digital Game Code on the Nintendo eShop of your Console. Once connected to the Nintendo eShop, you can enter and redeem the Download Code. Read carefully the store description about any language and region restrictions.